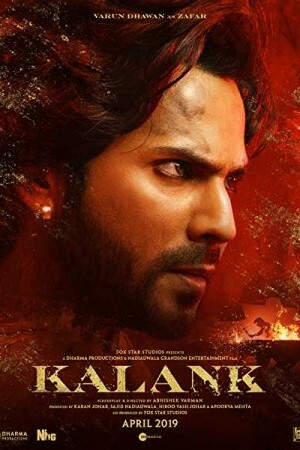 Kalank, an Indian Hindi-language period drama film, follows the story of an elite family amidst the rise of communal tensions during the period of pre-independence. With the time of partition nearing, many hidden truths of the family are revealed putting Dev, Satya, Roop, and Zafar in a battlefield of love. With the whole town bathing in different shades of red, what shade (from love and violence) will these 4 choose forms the rest of the story. While the movie was planned by Yash Johar 15 years ago with a plot casting Sridevi, the movie is finally made by Karan Johar now with Madhuri Dixit replacing Sridevi.